Two male juveniles have been arrested in connection to a sexual assault investigation involving a female juvenile victim, according to the Contra Costa County Sheriff's Office. 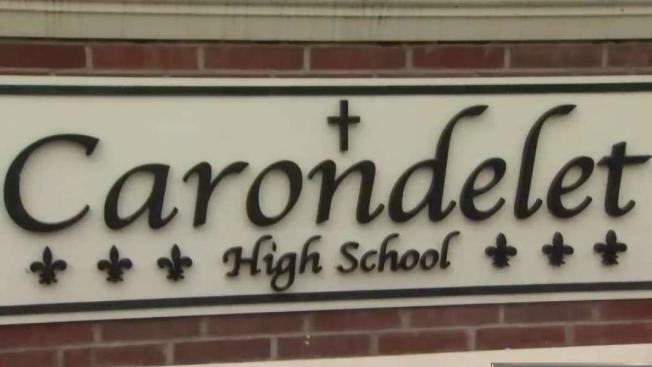 The victim of the alleged sexual assault is a student at the all-girls Carondelet High School in Concord. One of the juveniles accused of attacking her is a student at the all-boys De La Salle High School across the street. Detectives were notified about the alleged sexual assault earlier this week. The reported incident occurred late September in unincorporated Walnut Creek, authorities said. Sheriff's Office officials said detectives launched an investigation and confirmed the allegations. The two male juvenile suspects were arrested late Wednesday and booked into Juvenile Hall in Martinez. Authorities are not releasing the names of the suspects or victim. No further information was immediately available. Anyone with information in the case is asked to contact the Sexual Assault Unit of the Investigation Division at 925-313-2625. You can also e-mail tips@so.cccounty.us or call 866-846-3592 to leave an anonymous voice message.